From the desire of the European mountain climbers to climb-down the mountains faster, the Paraglide has been progressing a lot and today it’s a sport that increasingly grows each day. Due to it’s facility of practice the Paraglide has been gaining a greater number of followers counting with circa of four thousand practitioners in Brazil. In Europe were the sport is more developed we find more or less 250.000 practitioners. The sport was brought to Brazil by the Swiss Jerome Saunier in 1985. 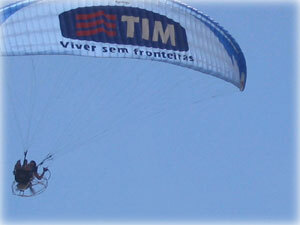 He made the first paraglide flight from Pedra Bonita in Rio de Janeiro. At that time the Hanglider pilots twisted their noses to that soft piece of fabric that even though it could really fly it would fall much faster then the Hanglider wings. It seemed that Paragliding would never deserve the name of free-flight. Today the technology changed that meaning making really good equipments that are able to do great flights. On the contrary which many people think the most modern equipments makes possible long flights with hours and hours of free-flight even for those who are beginners. It is an innovative advertising media for your companies’ communication. It can be used in an extended area having a creative impact opportunity and visibility. It integrates the brand to the event. Characteristics that makes one of the bests external advertising medias. 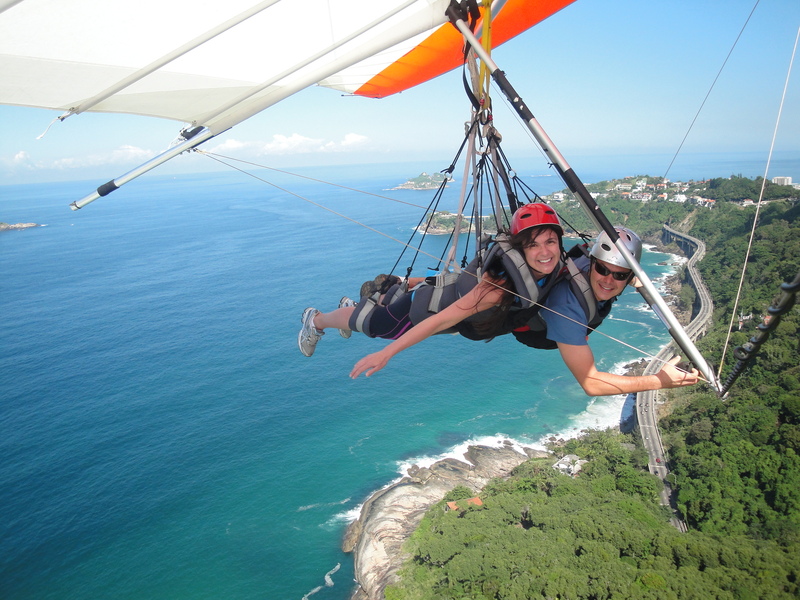 Integrating the sport and the communication media, the Paraglide has a strong power of penetration, because the public notices the media as a sponsored action sport. With a wing area between 38 m2, the Paraglide is composed of more or less 40 cellules that, when inflated with air, have an aero folio format creating a true aerial outdoor for your brand. All made from Porcher Marine a kind of imported nylon and with Kevlar line, the Paraglide is the ultimate word in aeronautic and safety technology. Having a two times motor, French fabricated, with autonomy of flight of two or to two hours and a half time, depending on the weather conditions. That makes possible a take off like an Ultralight or an airplane without the necessity of a hill like with the free-flight stile. It is absolutely necessary that the pilot has the specific permit for such an aircraft and his or hers permit certified by the inspector’s agencies like the ANAC (Civil National Aviation) and the SERAC (Regional Civil Aviation Service). The pilot must be certified as an Ultralight pilot. 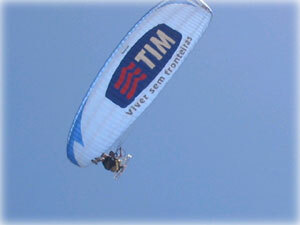 Aerial Advertising Project, carried through the Brazilian Surf Circuit sponsored and organized by Petrobras – BR in 2005 in the cities of Rio de Janeiro, Florianopolis, Ubatuba – SP, Itacare – BA, among other places in the Brazilian coast. Done in Salinopolis – For the Telephone Operator TIM in 2005. 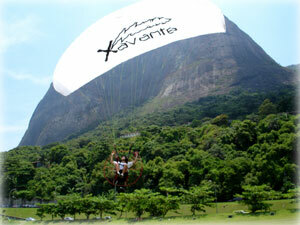 Project sponsored by Xavante (Energetic) performed in Rio de Janeiro in 2006. 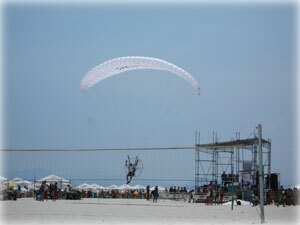 Flying over a Windsurf Championship in Barra da Tijuca.